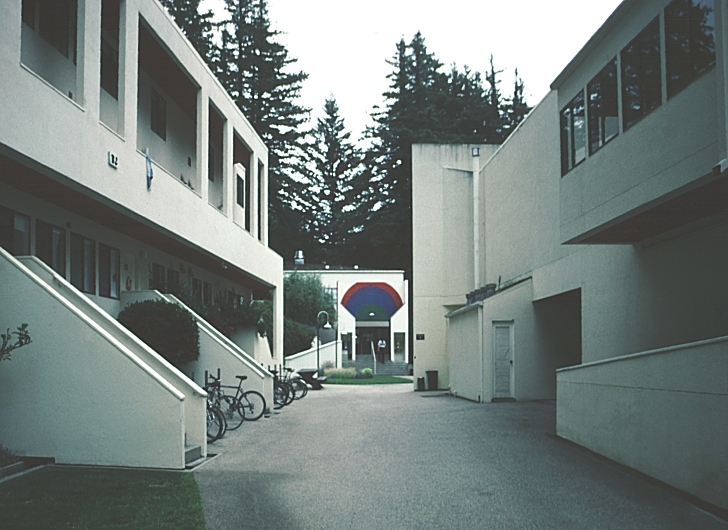 Dormitory buildings, none more than two stories high, seem like De Chirico stage sets with false front loggias along the internal pedestrian "street." 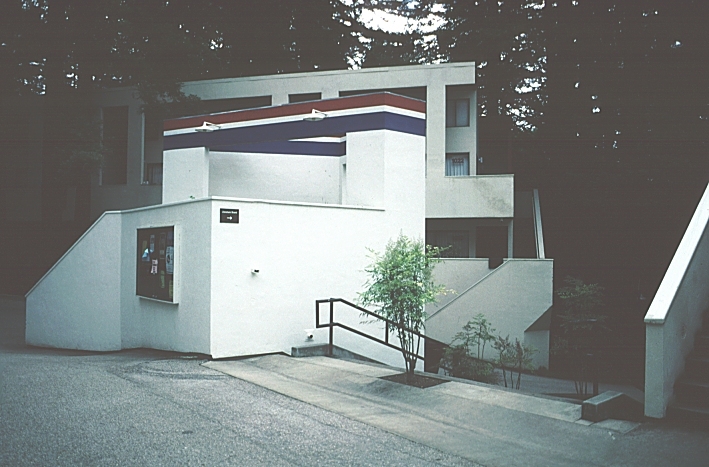 The dominant color is white with some buildings accented in primary colors or bold decoration; ironically, such distinction points out laundromats or phone booths! 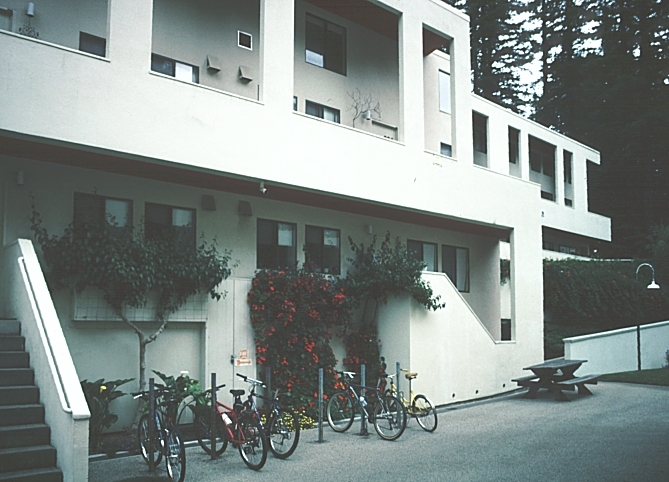 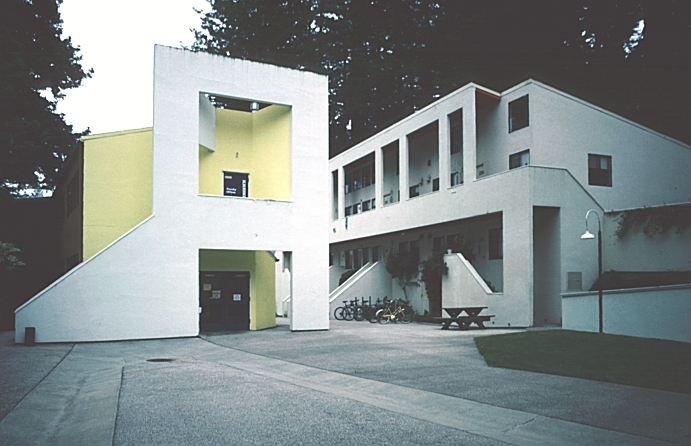 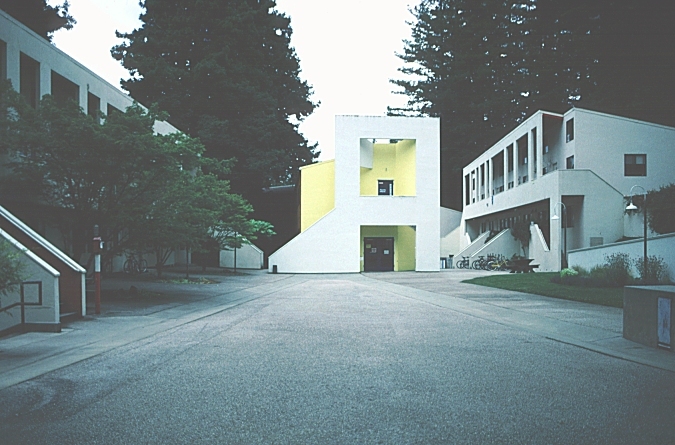 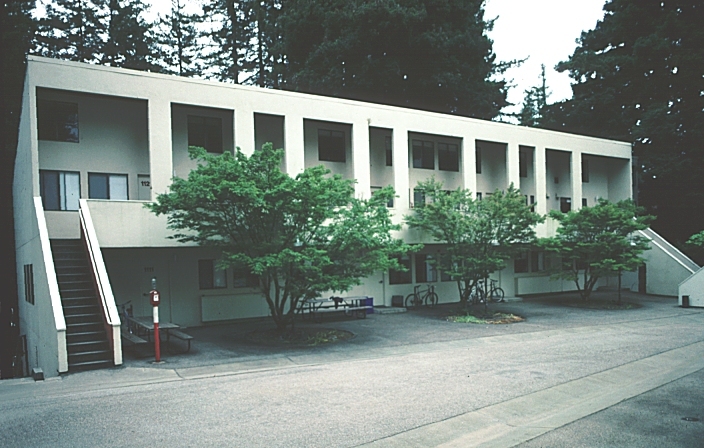 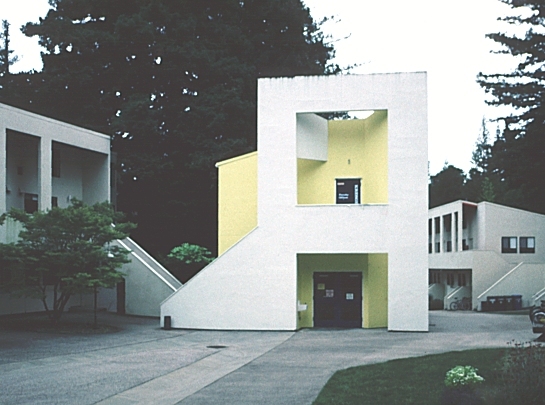 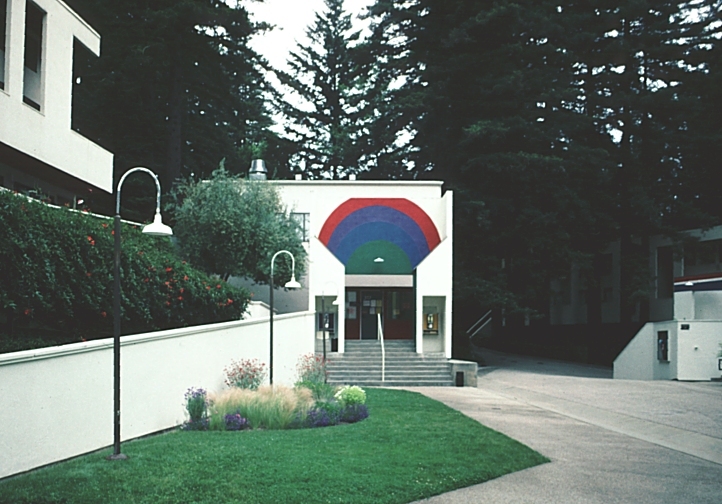 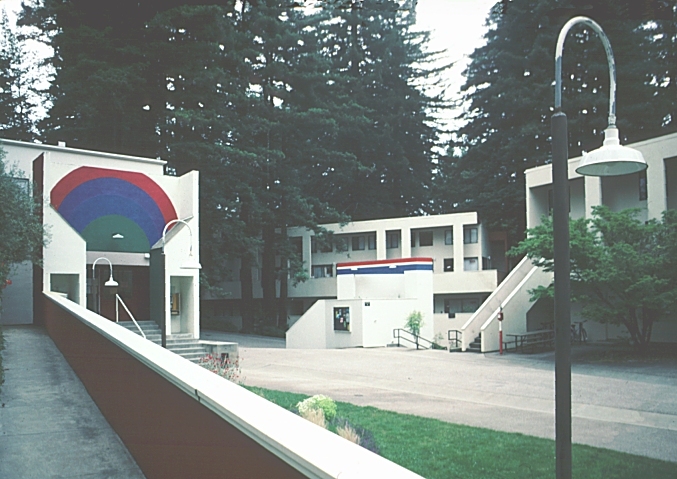 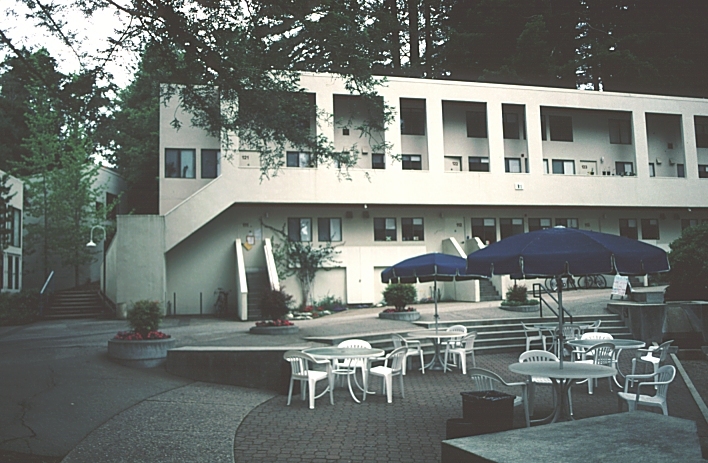 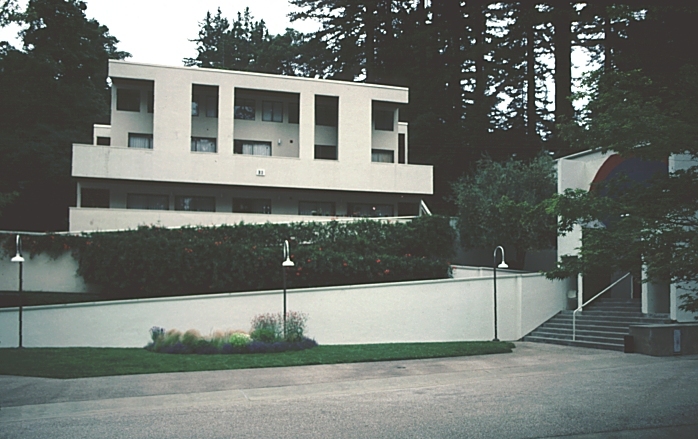 Click here to see additional views (page 3) of Kresge College.